There is a handful of pragmatic reasons supporting the choice to use alternative treatments for your hair loss. Many individuals have claimed to have significant results with herbal ingredients such as Saw Palmetto. Treat genetic and temporary causes of hair loss safely. Eliminate risk of experience severe side effects. Conducive to regrowing strong, healthy looking hair. Generally less expensive than chemical options. The trade-off is that many natural treatments have less scientific data supporting their effectiveness. Some companies have run independent studies such as Revivogen though many times these studies are limited. Many herbal treatments must be used on a trial and error basis, generally if you are not receiving results after 6 months of use the product is not working for you. The products below are some of the most promising natural hair loss treatments on the market. These products are some of the best chances you will have at finding a natural way to regrow hair. They at least have some clinical data backing up their efficacy in treating hair loss and promoting new hair growth. There is a degree of “social proof” that validates many natural treatments which may not be as valuable as hard scientific data, but is still worth consideration. These products are applied directly to the scalp. There are three components of Revivogen. The first component contains Azelaic Acid, Zinc, and Vitamin B6 which have been scientifically shown to block 90% or more DHT when used simultaneously. The second component is the mix of fatty acids. 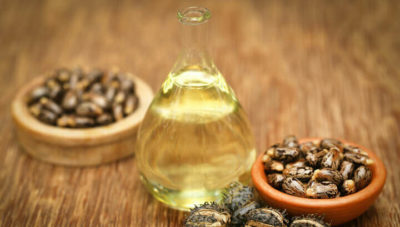 GLA, ALA, Linoleic Acid, and Oleic Acid which are fatty acids that have been shown in studies to be effective in blocking DHT. These four fatty acids are also known for their anti-inflammatory properties, which are helpful for hair loss sufferers as an inflamed scalp is usually a by-product of hair loss. The manufacturers claim you will see results in as little as three months. The last component is made up of Saw Palmetto the most studied herbal DHT blocker, Beta Sitoseral shown in studies to also inhibit DHT conversion, and Proanthocyanidins referred to as nature’s minoxidil. You’ll want to comb back your hair first. Then, use the dropper to apply the formula to the receding area. The easiest way to apply it to the rest of the top of the head is by parting your hair down then middle then dropping the formula along the part down to the vertex of your scalp. Then massage the formula in. Revivogen also offers shampoo and conditioner products. While not nearly has essential as the topical scalp therapy formula, they are great products to add to your arsenal if you can swing the additional cost. If you are looking at picking up all three, Revivogen does provide a value package where you can pick them all up for a reduced cost. This package will last you about three months. Phyotoworx is a unique organic shampoo product. It is one of the most popular organic hair loss solutions avaliable. The key ingredient is the plant stem cells, which is one of the cutting edge solutions hair loss research has shown may have high potential to reduce hair loss. These plant stem cells are rare and are scientifically known as Malus Domestica, originating in Switzerland. On Amazon, it has had a huge following and continues to be one of the top 10 best selling hair loss treatment products. It supplements the plant cells with Eucalyptus Oil, Tea Tree leaves, and Peppermint. These ingredients help you maintain a healthy scalp environment. The downside is the stuff is pretty expensive, so if it works for you the long term expense is one thing to consider. Phytoworx also manufacturers a hair regrowth supplement that we included below in our oral products section. These products are tablets taken by mouth daily or weekly. Another 100% organic product from Phytoworx. It has a powerful line up of ingredients with some that are backed by clinical studies. Phytoworx recommends using this alongside their shampoo to enhance the effectiveness. However, it is not necessary to use both to get results as they are fairly pricey products. If you are set on trying at least one Phytoworx product, we recommend getting the shampoo and then getting a less expensive vitamin hair supplement.